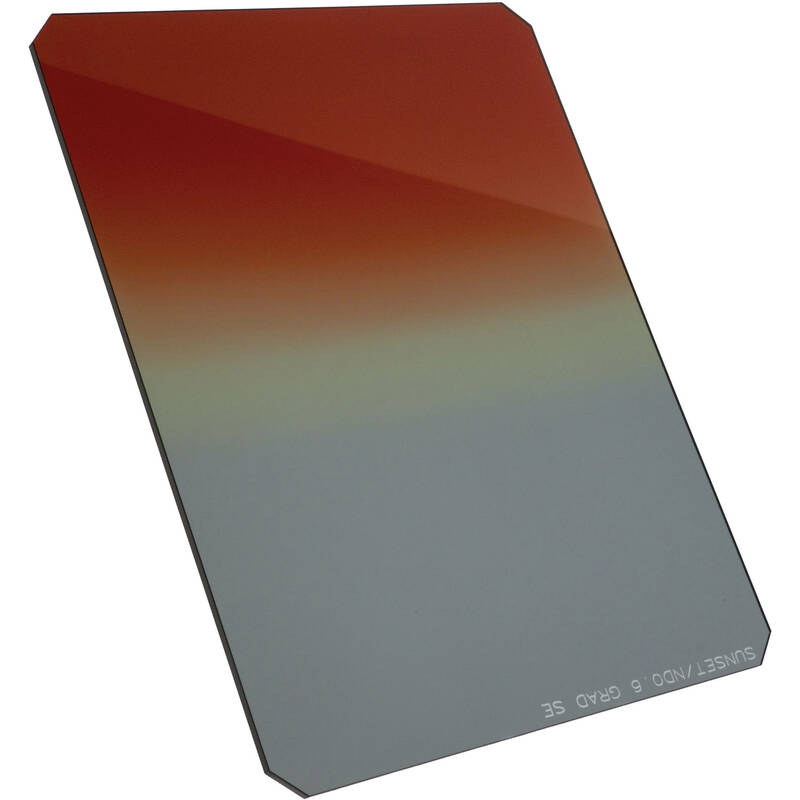 The 85 x 110mm Sunset #3/ND 0.3 Soft Graduated Combo Filter is a combination of both a sunset #3 and a 0.3 graduated neutral density filter. There is a soft-edged, 0.3 density for controlling skies and other bright areas of the image. The sunset #3 filter is a graduated filter that blends red, orange, and yellow; helping to enhance color of the sky by giving a dramatic sunset effect. Combination of both a sunset #3 filter and a graduated neutral density filter. Soft-edged 0.3 ND graduated filter for controlling skies and other bright areas of the image. Sunset #3 filter is a multi-color filter, blending red, yellow, and orange. It helps to enhance the colors of the sky and provide a dramatic sunset-like quality.